We strive for 100% customer satisfaction by ensuring that our boiler, radiator and temperature control system repairs and installations are carried out to the highest standards by blending traditional quality workmanship with modern components. In need of radiator or boiler servicing in Edinburgh and The Lothians? We offer boiler and radiator servicing, repairs, maintenance and installation, heating control installation and more! Take a look at some of our 5 star reviews gathered from real customers. We are registered with "Which? Trusted Traders" and "Edinburgh Trusted Trader", so rest assured, our reviews are legitimate. We are a specialist heating company dedicated to fine customer service and boiler servicing in Edinburgh and The Lothians. We install new heating systems, new boilers, radiators and we routinely service existing systems for homeowners, small commercial properties and landlords. We are Gas Safe registered (as anyone who deals with the heating or gas system in your home should be), fully insured and obsessed with great customer service. Feel free to give us a call or even knock on our office door – we are always happy to help, advise, and we provide free quotes on site. Our business has largely been built on our high levels of customer satisfaction and our trustworthy reputation in the industry. We are certified traders with “Which? Trusted Traders” and also “Edinburgh Trusted Trader”, which means that we have been correctly vetted, background checked, are fully compliant with all current consumer laws and have a strong history of customer satisfaction. "He installed a combi boiler in my flat, a complete set of new radiators..."
Iain is a very pleasant man to deal with, lovely having him in my home. He installed a combi boiler in my flat, a complete set of new radiators, and sorted some pipework. I was very happy with the work completed, it was on time and good quality. He was very quick to respond to small issues with suppliers, very considerate and effective. Would definitely recommend him! "Very tidy installation of a 3rd Gen Nest Thermostat..."
I contacted Iain through Facebook initially, which he followed up with a phone call. He came to view the work required and did the job there and then!! Very tidy installation of a 3rd Gen Nest Thermostat with advice and recommendation for some further work. Absolutely would recommend and will be the first person I call for any further work! "Old fashioned customer service and quality tradesmanship..."
Iain did a fabulous job. He installed Evohome for me and TBH its the sort of old fashioned customer service and quality tradesmanship that is sadly lacking with a lot of firms these days. Recommend Iain ? My next door neighbour has already expressed an interest and Edinburgh Heating will be getting a call. First Class. In addition to boiler maintenance, installation and repair, we provide a full range of services to central heating and hot water systems for customers throughout The Lothians, and we are proud to have an extensive list of favourable reviews from consistently satisfied customers we've served over the years. Making sure every one of our customers is happy with our work means that we have a long list of fantastic reviews, and a business that is built on the highest quality workmanship. Our reviews come from customers on “Edinburgh Trusted Trader”, “Which? Trusted Traders”, who we are proud to be a part of and registered with, and to a lesser extent Google and Facebook. To see for yourself what our customers have to say about the quality of work that we do, click "View Our Profile" under the corresponding websites above to read some testimonials from our customers across The Lothians. Click the button below to go to our "Reviews" page. In addition to boiler repairs in Edinburgh and The Lothians, we can carry out boiler replacements and new boiler installations with any brand on the market, and we are accredited Vaillant and Intergas installers. We can provide routine boiler maintenance and servicing for existing boilers or ones we have installed ourselves. Whether you want traditional thermostats and controls or more modern smart controls for your home, we can safely install whatever you require. We routinely provide landlords and potential landlords with the appropriate gas and heating checks and certifications needed to legally rent out a property. Providing a new level of efficiency and control over your system, smart controls are becoming popular additions to modern heating systems. 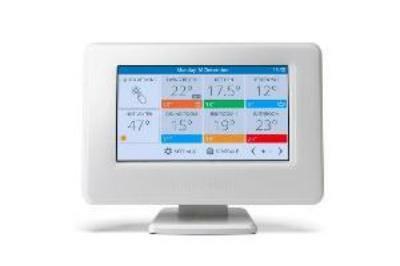 We are accredited installers of Nest and Honeywell temperature controls. We carry out heat loss calculations to ensure you get the perfect sized radiator for your home. We focus on making sure you get the right heating system for your home and your requirements, and always ensure you are left with a quality and reliable system. If required we can design you a bespoke system from scratch, making sure it is a perfect fit for your property and your needs. We perform boiler repairs in Edinburgh and The Lothians. We are also trusted and accredited installers for Vaillant and Intergas Boilers, as well as for Nest and Honeywell temperature controls. We are accredited Advanced Installers of Vaillant boilers, and they contribute to our high-quality heating systems. Vaillant are a highly trusted German brand with over 130 years in the boiler industry, and they are one of the leaders in the UK market. We are accredited Platinum Installers of Intergas boilers. Intergas are a leading pioneer in redesigning the combi boiler to make it more reliable and efficient than ever before by reducing the amount of moving parts inside. We are Honeywell Connected Specialists, meaning we have been accredited by Honeywell to install their temperature controls reliably and safely. Honeywell controls are known for their high levels of quality and technological advancements in heating your home as efficiently as possible, giving you more control over your home’s warmth than ever before. Nest thermostats learn your daily routines and then intelligently keep your home at the perfect temperature for your schedule, saving you money and making your heating system more efficient. We are Nest’s Elite Installers for Edinburgh, meaning that in addition to installations, we also troubleshoot issues and make repairs for Nest wherever needed. We merge traditional quality workmanship with modern components to give you a reliable and long-lasting system suited to your lifestyle. We are Intergas Platinum Installers and Vaillant Advanced Installers, thus we can also offer extended warranties on certain models from these brands. In addition to our responsiveness and dedication to customer satisfaction, we also put in the extra effort to supply you with a boiler or heating system that perfectly matches your needs, budget and property. We can install any kind of boiler. Our knowledge of the trade allows us to safely and reliably install or replace any part of your system so that it fits your lifestyle and the outcomes you desire. Every boiler installation is tweaked and dialled-in correctly so that you get maximum efficiency from your system. We care about getting it right and doing a quality job for you and your home. In need of boiler servicing in Edinburgh and The Lothians? If you are in need of boiler servicing, boiler replacement or radiator or boiler repairs in Edinburgh and The Lothians, then we can visit you at your property to discuss exactly what you want and find out your budget for the work to be done. Then we can discuss possible options for you that perfectly suit your budget, your property, your warmth requirements and the outcomes you desire. Click the following link to contact us today. Keep up to date with our news, recent work and latest promotions over at Facebook.